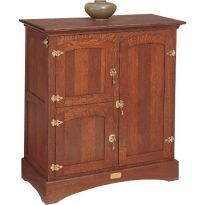 Get extra support with No-Mortise Chest Hinge. 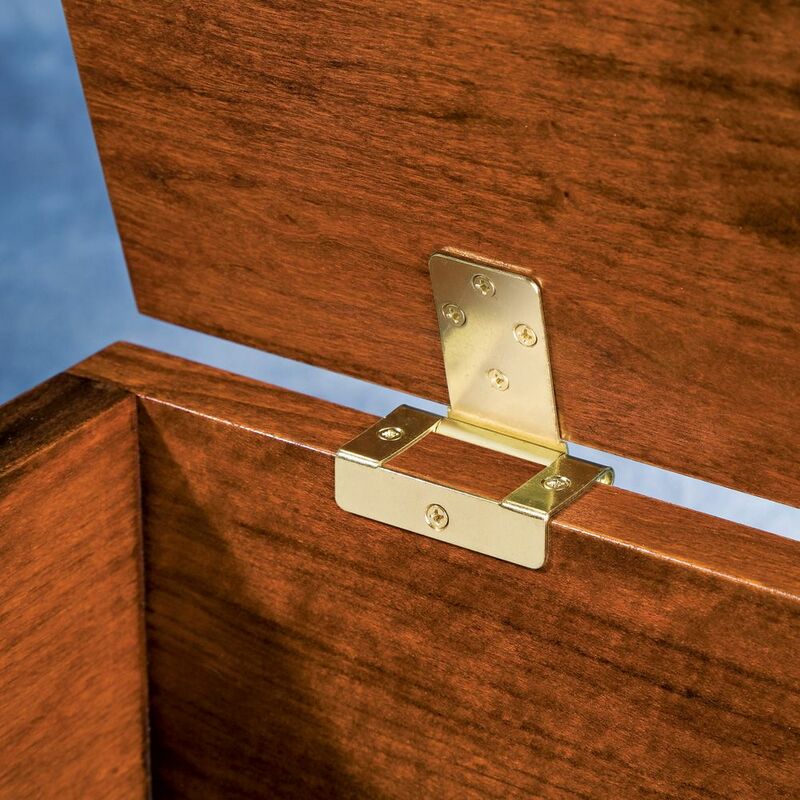 No-mortise chest hinge has wrap-around flange that gives you extra support. Flange hinge easily surface mounts. These hinges were the easiest hinges I've installed. They look great and are working perfect. I bought two extra for my project and I'm glad I did. ONCE I UNDERSTOOD HOW EASY THIS REALLY IS TO INSTALL, IT WAS A BREEZE. 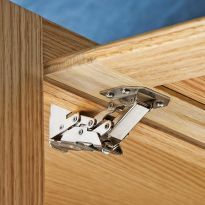 I WOULD RECOMMEND THIS HINGE AND WILL USE THEM AGAIN IN THE FUTURE. THIS IS A GREAT PRODUCT . IT SOLVED MY PROBLEM . I WILL BE SURE TO USE THIS PRODUCT AGAIN . No mortise, but plan for 1/16"
These work as shown. No mortise but add approx. 1/16" gap at hinge location. Plan for it. I wanted soft quiet bump stops on lid at front which even out the stance of lid on box. Hinges are sturdy. I would use again. The pulls blended in well with the oak blanket chest I made for a charity auction the first Thursday in May. Exactly what I needed and exactly as pictured! Made a large toy box as my first wood project ever, and then needed to figure out hinges. Looked at the local hardware outlets, but they had nothing that would work. 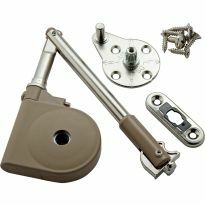 When I searched out these little babies on-line, I didn't even know what a no-mortise flange hinge was! I bought two pair due to reviews about the lightness of the hinge, and I did use all four on the toy box. Worked perfectly! Thank you, thank you, thank you! 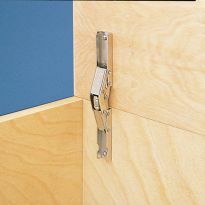 have used this hinge many times would like to see it sold in the store again. They worked great and would buy them again! It was great. Made a window bench with storage, this hinge was just what I needed! Good quality construction, easy to install over the upholstery, function well. Would use them again on another storage ottoman lid. Worked perfectly for the project I was using it for. I am very pleased with these hinges, easy to mount and alignment is a snap. I will be using these hinges on all my display cases, both the side opening & the top opening where I plan to use the torsion type. I used these hinges on a blanket chest that gets a lot of use. The only problem was when it was overloaded the hinges were stressed to the breaking point. No fault of the hinges. Excellent choice for this type of application. I start with a stereo console and convert it to a storage bench/seat. I needed a special hinge to use for the storage arm. This hinge worked perfectly for me. We have an antique trunk we use as a coffee table/toybox. The old hinges finally rusted and broke apart....because of the odd way the lid fit together regular hinges would not work on this trunk. Started searching the internet and after a few failed hinges we found Rockler. These flange hinges fit our antique trunk like a glove....we are so happy we can hide our son's toys again! The hinges are great. But they really are drilled for 3/4-inch stock, and since mine was slightly less than that (around 5/8), the two screws on top are off centered on the wood. They worked fine though. I do wish the screws were a bit more durable. These are brass, and really easy to snap the heads off, even when pre-drilled and with wax on the threads. I think I'd use a comparable steel screw for the test fits if I were to use these again, and then only put the brass ones in for the final installation. I probably would also have purchased an antique brass finish if available. Hinges on my walnut blanket chest. I really like the hinge, it is easy to use but a little on the flimsy side. Yes I will use it again. Although I had to use other screws than the ones supplied, because they were of poor quality, I am happy with the hinge. A few of the men in my congregation make faith chests to give to babies when they are baptized. We make them mostly of plywood and band the edges with oak veneer. We like these hinges because they screw into the face of the box as well as the end grain on the side of the box. We feel this is far more secure. After trying several other types of hinges we have been using these exclusively for over five years. I used 4 of these hinges on a toy chest I recently made. They work well, but the metal is kind of &quot;thin&quot;! these aren't heavy duty hinges. I made my toy chest out of walnut and walnut-veneered mdf, so it is pretty heavy. The lid weighs about 27 lbs. I would recommend using these, but don't use just two if your project is &quot;heavy duty&quot;. I installed these hinges on a toy box I made for my new grandaughter and coupled with two of the &quot;back mount&quot; lid supports, everything works great. The hinge looks and works great. However, the screws supplied with this hinge twist off easily. I will still buy the hinge and use screws I purchase from the hardware store. Hinge was weak. It bent when I put the door on. Maybe good for horizontal doors. I wish it was a bit more robust. I used it for a heavy tabletop and wish it were heavier duty, mainly bigger screws. I know I could have drilled the holes bigger and I was only able to access 3 of the 4 holes, but heavier duty would have been nice. I returned them since they were too flimsy! Looks good. Very weak. Couldn't handle my oak gate. Hinge works, however it was very flimsy and easily bent. Had to use four hinges instead of the two my chest lid called for. Disappointed in the over all quality coming from Rockler, guess I expected better. I made a large toy box out of 3/4 inch mdf. The lid was too heavy and these hinges crumbled under the pressure. I had two back supports and these hinges did not last but maybe two or three open and closes before they broke. I liked the design and everything about these but they are not for large toy boxes. It doesn't rise to the level of junk, but it is close. Not the quality I have come to expect from Rockler. Very flimsy. Screws that came with the hinges were JUNK. Counter sinks for the screws were way too small and had to be reamed out to accept screws that didn't break during istallation. The metal is very thin and weak. I can easily bend the leaf with my bare hands. Regardless of what other reviewers might say, DO&nbsp;not use this in conjunction with tension hinges or toy box lid supports. You will regret it. The design is great but only for extremely light duty since the metal is terribly thin and weak. Making my son and future daughter-in-law a hope chest for their wedding present. Needed a strong hinge for a child's toy box and this one appears to fit the bill. These will look especially nice for the toy chest I am building for each grandchild. This is the type hinge my husband has been looking for and suggested I check your site! Lid on a cedar chest. reasonable price and got good reviews. Hope I am happy. 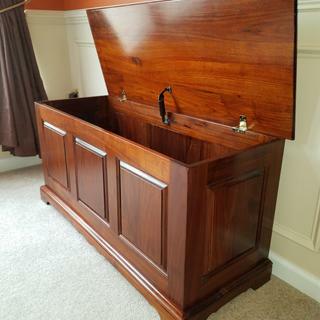 Replace the old hing for an old toy chest. Broken hinge on my piano bench. Because I couldn't get the chest hardware I wanted...this is second best. have used several times in the past. great small box hinge! Excellent light duty for my computer desk keyboard tray door. Easier to install than a mortise hinge. Looks nice and works well with 3/4" thick wood. Looks like a good hinge to use for the toy boxes I build. 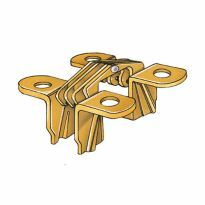 Non mortise hinges for 3/4” material not available at any brick & mortar locations. Would prefer antique bronze finish though. Perfect hinge for my 3/4" thick chest. My husband needed the hinges for his cabinet repairs. I build toy chest, cedar chest and these hinges are perfect for a lift opening. Nice looking, compact design and good price. Perfect for a toy chest. Does the no mortise hinge keep the lid up, when raised? BEST ANSWER: The short answer is no, it won't keep the lid up. It might if you have enough overhang on the back side so that the back edge of the lid gets pinched on the back wall of the chest. This does create a great deal of stress on the hinge and will likely break it off if you open it too hard or a kid pushes on it. You really should add a box lid support. They can be mounted on either the right side, left side, or somewhere in the middle of the back side. No it doesn't keep the lid up. 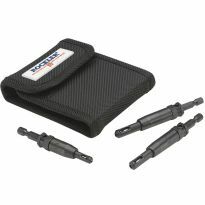 I purchased separately a lid support for that: http://www.rockler.com/toy-box-lid-supports-right-mount. No! This item, "# 28746" will not do the job. Item "# 44474" would do the job but there are several choices depending on the weight of the lid. And they are a bit more costly. No it does not. The lid will fold all the way back. No. They only allow the lid to pivot. 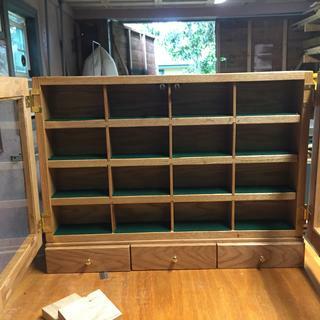 I recently put together a jewelry box that is a half-inch material. 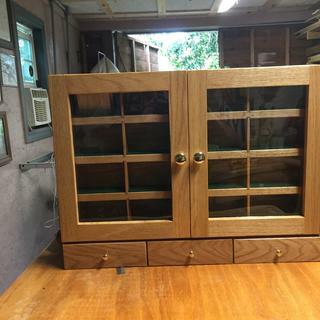 Would these hinges work for my box? BEST ANSWER: yes they ought to work perfectly. I used them on a pine box I made that was also half inch, so I think you'll be fine. What is the dimensions of the hinge? Are the screws included with the pair of hinges? Why is this only offered on line? can we get them in the store? Can't answer your question. Have never been to any of the stores, and have always ordered on-line. I haven't used them yet but the are exactly as advertised. Call customer service. I am building a presentation box with 3/4 in walnut. This box is a little longer than a jewelry box. Will this hinge work and what size would be best? BEST ANSWER: They do the job, although, it causes a gap between the lid and the box which I don't really like.